© Corinne Stokes is a young and upcoming photographer based in Westbury, Wiltshire. Corinne will do home visits or do photoshoots on location for example at shows or events. She kindly allows her photos to be used in magazine articles and on the website for the BSTD and her shots are often used as prizes for our competitors at the prestigious shows. © The BSTD would also like to thank private individuals and competitors who have given us permission to use their photographs on this site. © Sara Britten Photography. Sara is an up and coming young photographer who, in her own words, loves to take photos that will last a life time, capturing an animal's expression, a flower's detail and even the special bond a horse shares with their rider. Sara focuses her photography on animals,flowers and scenery but has had experience in wedding photography too. RACS Group sponsor our web site and a pick up vehicle for equipment .Terry Hillier who is the RACS Group Managing Director has also sponsored a new trophy called The Members Choice Award which as it says is an award that the competitors choose at the end of the seaon who they believe has gone the extra distance so to speak to help at the shows. Adveco Water Heaters owned by Dave and Sam O'Sullivan are main sponsors of the prestigious shows on the BSTD calendar and provide prize money and trophies for those shows. 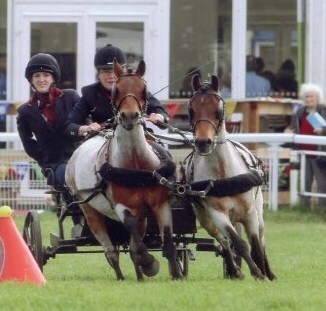 Sam is also a member and competes her pony pairs and single pony as often as she is able. Sue and Gav Nebbeling support the very small ponies within the group and they award a rosette to the winning miniature at every show. Sue, Gav and Nigel Sycamore also present a trophy to the best very small pony/s over the season at the Awards Evening in memory of Janet Sycamore who sadly lost her fight with cancer. The Faulkner Family. With father David, wife Kath and their competing daughter Helen, the Faulkners are generous in the sponsorship and support of the juniors in the BSTD and were instrumental in making sure all the age groups were looked after. Denney Equestrian sponsors the champion groom at every show and awards the Grand League champion groom and runners up with a plaque at the end of year Awards Evening. 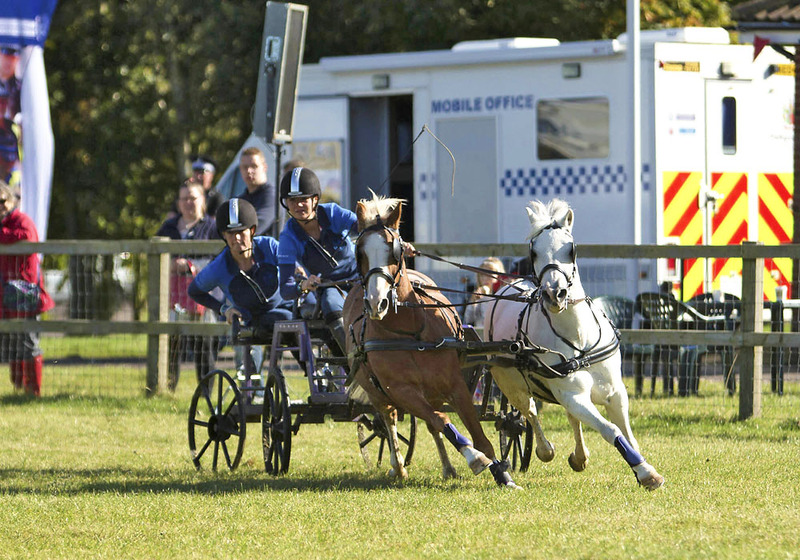 Living Heritage Events has maintained it's support of our sport by once again allowing us to have a series of shows at their very popular national game fairs and country shows. We cannot thank Mark & Marg of Living Heritage enough for their excellent prizes, ring time and promotion of the BSTD. We are indeed indepted to them for their continued sponsorship of our classes from the inception of the BSTD. EA Food Technology. Owned by Liz Awty who backsteps for friend Harriet Bradford was innotive when wanting to sponsor the helpers and grooms at all the shows. With rosettes, vouchers and monetary prizes Liz ensures that no one is overlooked. Beverley Wealth Management Ltd. Sponsor the ponies who haven't had a good start in life and who may have come from rescue centres. Alan and Helen Beverley compete with the BSTD and along with the support of their girls Megan and Jordan, compete their lovely welsh cobs as much as they can. Standard Cleaning Services Ltd. Based in Essex, the owners Paul & Julie Armstrong sponsor the best Team Turnout competition at every show plus the competitors amase points in the Grand League to see who is the overall Team Turnout Champion of the season. Medicmart Ambulance Services have come on board twinned with the Faulkner Family to sponsor the junior drivers and helpers within the BSTD. They provide rosettes throughout the season and trophies for the Grand League Awards Evening for every category. The Horsebox Company. Bespoke horseboxs, paint work, trailers made and converted to either carry horses or they will even make a mobile drinks unit/bar. All types of work undertaken to make your ponies comforable in their travel. This company has bought the BSTD a loively set of cones which have their logo emblazened upon. Without the generous sponsorship and support from the above we couldn't offer our competitors the continued prizes andcompetition the competitors of the BSTD enjoy. We are indepted to our sponsors and ask our competitors in turn to show their committment and support whenever they can to our sponsors by way of thanking them. Thank you everyone.